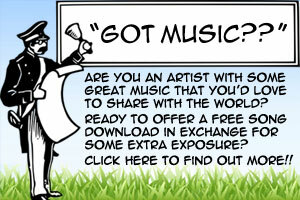 Free Kids Music MP3s From Top Indie (Kindie) Artists! Remember the popular Seventies hit song I’d Like To Teach The World To Sing by The Hillside Singers? Yep…the world-famous Coca-Cola commercial (you can find it on YouTube). Well, four members of the Hillside Singers have teamed up with a family friend to form Treehouse 10, and released Bug In A Puddle. They’re sharing two songs with us: Hippo Lake and The Man With 29 Cats. When Patricia Touma’s four children were growing up, instead of reading to them before bed, she made up stories about the adventures of siblings named Ish and Mish and their dog Jaime. She’s recently published these stories in a series of children’s books. And she’s also released an album called Happy Times, from which she’s sharing three songs with us: Riding On The Bus, The Merry-Go-Round and The Frost Is On The Pumpkin. The Plants are based in Philadephia, and bill their music as a blend of funk, folk, mo town, doo-wop, rock and more. From their first album, Sprouting Out, they are sharing the song If I Was A Fish. Kira Willey is a Bethlehem, Pennsylvania based teacher of yoga for kids as well as a fresh sound in creating music for kids. We’re pleased to be able to present two songs from her latest album: Mr. Cricket Hop and Roller Coaster. Paul Rogers has been the front man for the San Francisco-based accordion rock band Those Darn Accordions for 20 years, and he’s made a recent venture into kids music with an album called The Cul-de-Sac Kids, featuring two songs available right here: Sick Of Being Sick and Stop The Haircut. Silly Goose Songsters is a family-and-friends recording project based in California. They’ve recently released an album called Songs For Silly Geese, and are sharing two songs with us: Animal Sounds and Chugga Chugga Chu Chu. Debbie and Friends have been a part of our site for a number of years now. But they are back to share some more tunes with you. Check out So, So Happy and Willy Won’t Smile For The Camera…and that song’s great animated video which we’ve posted on the same page! Andrew Queen is a talented Canadian singer and songwriter who is sharing his “country-fied” outdoor song I Love Boating. Amy Michelle is a songwriter and published children’s book illustrator and author. She’s sharing two songs: Can’t Find My Shoes and Shine! Shine! Shine! Candy Band is four moms from Detroit who really love to rock! Enjoy their high-energy, punked-up song Ice Cream! Elizabeth Mitchell is a folkie who regularly performs with her husband and young daughter, and occasionally with luminaries from the worlds of childrens music and mainstream rock. The young and the young-at-heart will appreciate the song Oh, John The Rabbit (and the accompanying video as well). Judi Cranston is the founder of kindyRock. The New Zealand-based writer/producer tackles development language skills, math concepts, creativity, gross and fine motor skills, hand-eye coordination and social skills. She’s brought us Zippity Zap to share with you. Meredith Wright is the heartbeat behind Sweetbeatz. The NYC-based artist, vocalist and early childhood teacher offers up her musical take on Laundry. KidsLive is based in Pennsylvania and is sharing the title song from their album The Great Big Person. Gogo Bonkers! is a Canadian duo who bring a mega-dose of energy and creativity to their passion for promoting environmental sustainability. They are sharing two songs: Big Cloud and Walking In The Forest. Kansas based singer/songwriter Randy Sauer brings Randy’s Music Jam (his fun and interactive live show) to area malls and town festivals. He’s offering up a musical invite to take a dip in Milkshake Lake! Berklee College of Music grad Wayne Potash is ready to tempt you with his culinary creation Ready For Dinner. New Jersey-based Yosi & The Superdads put up a *strong* argument that they are the hardest-working band in show business with…450 high-energy, humorous children’s shows a year! What do all those audiences know that you may be missing? Check out Wake Up! Despite its sparse production, we really enjoyed the song by Shelley called Cowboys, Cowgirls. Double bonus for the imagery of kids walking into a saloon and order, “Double milk – no ice, thank you”. Yee-haw! Alan W. Lemke is a Colorado-based singer/songwriter, and he’s asking the kind of music question you’re likely to hear almost every day on any street corner: Have You Ever Seen An Alligator Surfin’?